Up next at Ohio State...I don't know. But I don't think it will be Urban Meyer. And I really don't think it will be Gruden. Why would he want to go to college, when he's in a position to grab almost any open NFL spot? 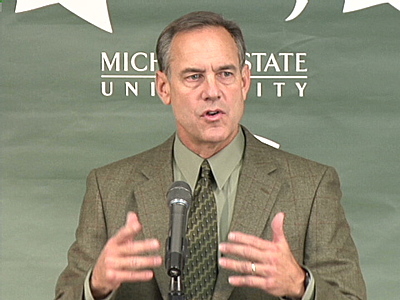 Now, Mark Dantonio at Ohio State makes sense. I can totally see a sweater vest on this guy. And just a minute. Let me get this right.....college football players traded memorabilia for.....tattoos. Tattoos? Really? Wow, Bartolo. I know the A's can't hit a volleyball, much less a baseball, but a complete game shutout is still pretty awesome. Actually kind of impressive that Maria Sharapova won yesterday considering how many mistakes she made. She could look brilliant and like an amatuer, often in the same set. but hey, she's in the quaters. Nice to see Mark Teixeira up his batting average from the left side 20 points in the past week. Still only at .248, but he looks a little cleaner batting as a lefty than he has for a while. Who does these rankings? This kind of stuff is ESPN The Mag kind of stupid. Eric Weddle would fit in perfectly in Jacksonville. He would be a real nice quiet pick-up. I think Prince Fielder is a really good player. A really good one. but he won't be worth the sick money someone is going to pay for him this offseason. He is only 27, yes, and 35 HRs and a .535 slugging percentage is nothing to sneeze at. But at the kind of money you're going to have to pay to get him. Not sure i would do that. Everybody who had Lance Berkman as leading the NL in slugging and OBP raise your hand. Anyone? Anyone? And Matt Joyce leading the AL with a .368 average....anyone? Good point by Peter King: I think when Plaxico Burress gets out of jail a week from today, and when the NFL resumes, he'll have two or three teams very interested. My guess is the Jets, Eagles and Raiders will be involved (the Jets if they don't sign Randy Moss), and I'll tell you a team that should be interested: Cleveland. A reborn Burress would do a good job giving Colt McCoy a threat he doesn't have right now-if Burress is in shape and as interested in resuming his career as I've heard. If its true, Buress could help out McCoy immensely. If Zach Grienke can get right...the Brewers win the NL Central. This is just brilliant. Really, really brilliant. 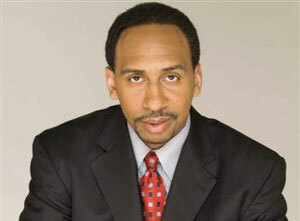 I agreed with Stephen A. until he went on his rampage about Pippen absolutely being in the top 50 all-time. I'd imagine Pippen going to another team, say Milwaukee or Atlanta, or Sacramento during those same years and never seeing a single championship ring. Does that make him fall out of the top 50? Nope, remember Charles and others are in there without a ring too. Does Pippen's game elevate to his level without Michael, nope. He would have been an all-star, never would he have been a top 50 all-time player though.